“Round, square, GREEN, and interesting”….. an interesting decorating phrase, isn’t it?! Today, let’s focus on the word “green.” After all, many people are at this time, and rightly so, for green is life and in the dregs of winter, thinking of life is a good thing! Finding green is easy and affordable, instantly rewarding with its fresh feel. Paint, too, can be a great way bring a fresh, new look to any space. Pottery Barn’s Spring Sherwin Williams palette has Kilkenny SW6740 as the green…and GREEN it is…definitely bright. Using this in small bites will achieve big results! 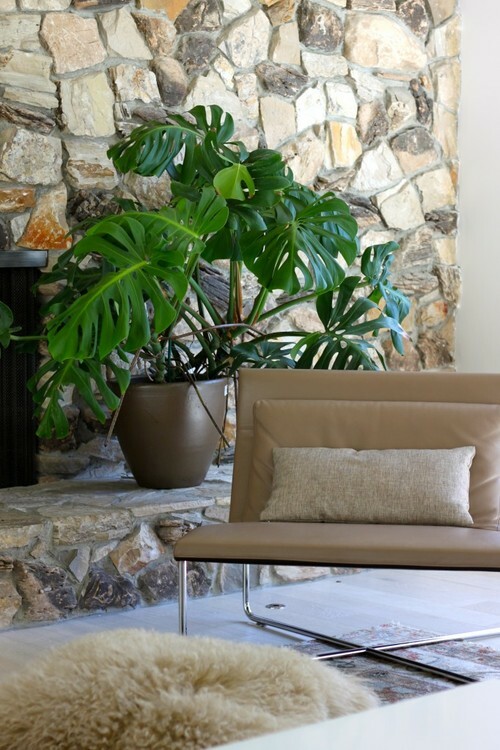 Let’s explore the true version of green and living…houseplants. We’ve talked about BIG, and this is still the case…a large leaf variety such as banana or philodendron. Simply displayed singly in a very large container these are popular for sofa tables, coffee tables, hutches, entry ways. Terrariums are here! Remember trying to plant them??? That requires work,skillful coordination of long sticks as well as luck. Now one can make a terrarium by using a cloche as its topper. This removable glass dome makes for easy planting and maintenance as well as superior viewing. Available at World Market – A great way to add greenery to your desk, shelf, or windowsill. Decide where the best location is and then decide what kind of time/maintenance is available for them. Here are some awesome choices! Low Light plants need less than 4 hours of sunlight. One of the easiest to maintain is Mother Fern. Another low llght is philodendron and the spider plant. Hint: check out a “Bonnie” spider plant if you can find it…it has curly leaves! Different! Medium light would require 4-6 hours of sunlight and includes plants such as a ficus and the asparagus fern. If you are fortunate enough to have a bright light source (more than 6 hours of sun; a sunny, South facing window) look for zebra plant, agave plants, and cereus cactus plant. There is nothing better than to have real thing surrounding you in winter!